A revised “ladder” system, offering more adjustability with character creation. Modify your class with one of seven ladders. Revamped rules around being human. A new lifepath system incorporating backgrounds (with eleven new ones) into an adjustable life history where characters can select every aspect of their character’s history, from family and friends to past love affairs. Ten new classes including the infiltrator, medic, sniper, and techie. New armor including powered combat suits. Over forty new monsters including giant robots. Two included adventures—a zombie apocalypse and an alien invasion. This file was last updated on March 22, 2017. Do you believe the product as it is now is in a balanced and solid state? It is sometimes unusual for a product to not receive updates for so long. I have heard there are issues with class balance in this product so I was hoping that there would have been some news or talk about this particular product. I enjoyed running it the one time I did but there is an advent of new Scifi products coming out for 5e soon and I was hoping this will be competitive with them in terms of solid and robust design. I don't believe any game system is in a "final" state, but the last few months, we've been laser-focused on Amethyst Factions. After its release, we'll be returning to Ultramodern5, most likely in the form of a full-color second edition with way more rules rather than just fixes based on the last few years of feedback. Awesome to hear! Yeah that is a good move to make. I look forward to the second edition. I do hope you consider amending the current product with any fixes though. Rule changes and fixes, yes. New content and color artwork, no. I was just browsing and was thinking of buying UM5 BUT now that you are mentioning a second edition I hesitate. Why buy twice? Solid point with a few points in response. The first is that DEM does not have a reputation of screwing over its fanbase. If this project moves forward, anyone that purchased the first Ultramodern5 will receive a coupon for the REDUX. Second...wait...I think that was it. I will add that unlike other KS campaigns, REDUX will only go forward if it funds, so if everyone waits for that coupon and doesn't back the campaign, no coupon will be coming. Is there scope for community created content for UM5 being sold through Drivethrurpg? There is an OGL available you can download if that will help. What kind of details are you looking for? We put Ultramodern5 on OGL, so you can use the rules in whatever way you see fit. That being said, what you suggested would be awesome. I would love to read what you got. You should reach out to me privately when you get close to finishing your adventure. Well I haven't started writing anything yet! but I might make a shortish one to gauge interest. I'm very keen to make some Sci fi material. Should I just contact you via your publisher details? Would I be able to make a spellcaster with an assault rifle using these rules? Is that covered in this book, or would I just dump D&D 5e Wizard rules in and multiclass with something in Ultramodern? I'd recommend using a ladder option that granted the proficiency and take the first step on it by spending a feat at the appropriate level. One more question: Does anyone have any sources for Miniatures that would work well with a campaign set in this sort of cyberpunk setting? I was looking for Sci-Fi Miniatures or cyberpunk miniatures and haven't found much that seemed appropriate. Just wondered if anyone had already come across a site that sells them (or 3D models as I have my own 3D Printer). Reaper is the best for mass buy Cronoscape has many figures. Hello! Thanks for writing up this ruleset! I'm going to be GMing my first game in this system (I'm finishing up a 5E campaign with another GM that's set in the Dragon Age universe) and I wanted mine to be in sort of a Cyberpunk Sci-Fi setting. This ruleset seemed to match that so thank you! I had a question regarding health potions and the like. Is there a preferred method for dealing these out? Should I use the mechanics from the 5E players handbook for pricing and the like? Any recommendations for other things that might cross over between 5E and this ruleset? I had considered letting any of my players who wanted to be able to have access to daggers and swords and the like and just sort of cyberpunk them out (like calling them Vibro-Axes or some other moniker that updates them to this system). Do you see any of these things as potentially game breaking? Another question I had was regarding stuff like Minor Illusion (in 5E) and other low-level spells. Is there mechanics for incorporating low level illusion magic in some fashion? Like instead of Minor Illusion it's Holographic Projection or something like that? I have read through most of the book but wanted to know if there was anything you had thought of that might be able to be "ported" from 5E to this. Fantastic! Thanks so much. I was doing a search for Cyberpunk D&D and your ruleset is what came up. I went ahead and bought both Ultramodern5 and NeuroSpasta. I'll definitely keep up with any updates and future releases you have! You really thought of everything! Howdy, I was wondering if this would be a good system for a somewhat beginner GM. I have never GM-ed before but my close friend has offered to help me in any way he can, and he is very experienced, would you suggest this system, and if not are there any other modernesque or post apocalyptic systems you would recommend? Ultramodern 5 adds very little to the mechanics of 5E D&D. We tried to keep the philosophy of the system intact. So, if you know D&D, this is not too far off. SO yeah, I think this should work for most applications. When will there be an update to the PDF? I see plenty of fixes in the hardcover version but no update to the PDF (still v1.2 with lots of errors and omissions). The hardcover has many of them fixed so they've obviously been made. How about posting the latest PDF version? Right now, we are racing to finish Amethyst Factions, and afterward, we are prioritizing the work on Ultramodern5 as that needs to be in updated before we start our next Kickstarter. Don't worry, it's coming. I have to run a TL4 game with players throwing rocks because weapons are too expensive? Well, no. Taking the rules verbatim, they still can acquire lower tech items as well. The future will not eliminate traditional firearms. That being said, I seem to remember a mention somewhere that you can include higher tech items in a high-tech game, though players do not gain access to its high-tech abilities. For example, if you are in a TL5 setting, a starting player can wield a plasma pistol but does not gain access to the TL5 abilities until reaching a level when a player would normally access those benefits. But how can a player with 300$ buy a "common" laser pistol of 22500$? I get that you can get older weapons, but if I want to play in a sci-fi setting with lasers or plasma guns ... I expect players to be able to afford them, and I can't see how to "reduce" that 22500$ price tag. Also, checking weapons I noticed that AP weapons do nothing. If I read that correctly, a weapon with an AP property (via ammo or the weapons itself) ignores the armor resistance to its damage type. The catch is, most armor does not have piercing resistance by default. So using AP ammo is a waste of resources. Why? Also, somehow I expected that - following actual weapon/armor development - newer armors would get better at mitigating damage, and new weapons would bypass that. But a laser is as likely to damage a medieval armor as it is to damage a TL5 one ... which is a bit weird. Some newer armor have fire resistance, which would let you think its to be...See more able to stop lasers and reinforce that "evolution". But lasers are AP by default, so no. I'm pretty sure I missing a lot of stuff here. Is there some forum, community or reddit where to discuss this more comfortably? We have a Facebook and Google+ group. But to answer your questions, all classes have starting equipment, so it's an easy task to swap out a basic sniper rifle with a laser sniper rifle. Although not a lot of armor has damage resistance from piercing, a lot of higher-level monsters do. Additionally, most exo-armor have damage resistance piercing. The development of armor actually progressed more to add mobility. Weapons have actually surpassed armor's capacity to defend against them. Modern armor in UM5 offer alternative defensive values as well as other bonuses (fire/cold resistance, slashing resistance), but cannot greatly increase AC without throwing off the balance of the game. True that a Tactical Body Armor should defend better than Plate Armor, but in the world of balanced game mechanics, we couldn't move in that direction. The Set Piece 1 Ruined City map (pages 137 and 212) looks like it should be 1 sq. = 3 ft instead of the listed 1 sq. = 5ft. Otherwise, that minivan is 35 feet long and the cars are almost 15 feet wide. The U.S. Interstate Highway system uses an average lane width of 12.5 feet (3.7 m) wide with some road lanes getting as small as 8.2 feet (2.5 m). I'd correct the squares or at least list the proper scale. If not either of those, perhaps a note in the errata? All the other maps (very nice maps, by the way) seem to be properly scaled at 1 sq. = 5 ft.
Any chance of a color hardcover version? And, to whom should I send typos that I find? I will be running the first session using this on Saturday. It was a bit of a tradeoff. We made a call to create a large map at the expense of scale. It was never intended to be 1 square = to 3 feet, as that would not work with base 5E rules. So yes, it's not very realistic, but it was a compromise as we wanted to have a large enough map with enough buildings without the buildings taking up too much space. One more question. I understand completely where you're coming from regarding weapon damage. However, I have quite a few weapons from d20 modern/post-apoc products that I'd like to use. From doing a comparison it appears a good conversion would be to half the number of damage dice. Ex, it seems most d20 pistols do 2d4 to 2d8 damage. So half of those 1d4 to 1d8 seem match what you have for pistols. Does that seem right to you? Any other suggestions on converting d20 equipment? Thanks again. And I gave this product 5 stars. WOOT! Thanks. Yeah, that would be a proper balance. I just flipped through my old D20 Modern book and yeah, that works right. Another question. Grounder's Brotherhood states "You select additional abilities at ... 6th ..." the class table shows Grounder gets it at 7th level not 6th. Which is correct? The table is accurate. Thanks for noticing. "You can use your action to heal an injured ally. The target recovers hit points equal to 1d6 / your level." What is that supposed to mean? per level? divided by level!? Thank you very much; please share it on. It is 1d6 per level. Do you plan on writing a spaceships (rules and designs) supplement for UltraModern 5? A few months back, we ran a survey on our Facebook page to determine the next supplement. The consensus spoke, and after the release of Amethyst Factions, DEM will be creating a Mekton-inspired space-opera mecha construction and combat system for UM5. I am so very happy to hear this. I want this SO MUCH! Any update on when the Mecha supplement might come out? It is after the release of Amethyst Factions. what does the infiltrators efficient killer feature mean by "same attack", for example would it allow multiple pistolero point shots? "Same attack" refers to the type of attack, so if you make a melee attack, it must be a melee attack, and if a ranged attack, it must be a ranged attack. It also must be the same weapon at the same target. Later in the entry it says, "This attack is counted separately from the previous, so any benefits do not carry over." This means you cannot apply effects like "Point Shot", which specifically is defined as an action that give you a specific attack that can increase damage. You can combine Point Shot with Efficient Killer in that your first attack can inflict extra damage, but the extra attacks with Efficient Killer do not gain the same benefits. How does the Sapper archetype's, The Long Walk, interact with the direct property? Good question--they don't directly interact. The sapper is more about planting explosive properly; and direct property is about hitting a target directly with an explosive. So the target hit directly with an explosive device takes the additional damage via the direct property, but does not take additional damage via The Long Walk. However, since an explosive still sets a DC for targets around, those CAN take additional damage via The Long Walk. I hope that makes sense. You have done an amazing job based on my research of reviews and content. Your integration with the D&D 5E system was also very well thought out. 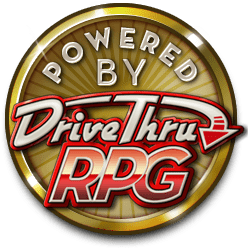 As you noted in the youtube review, this is RPG integrated with a larger system to allow one to expand the settings of campaigns. A group is currently discussing the possibilities of our newest D&D campaign and my research lead me to you. The setting will be MODERN FANTASY and I was definitely thinking your work would be a welcome resource.. As you can imagine, members are already arguing about re skinning PCs. So, I thought, let's provide them with some structure for conversation and avoid recreating the wheel and attempting to create flawed compatibility issues. Before I purchase the book and the PDF in bundle, I wanted to check to ensure that all current revisions were a part of the book. Awesome... Sorry for not responding quickly enough. I think this message slipped by me. I would love to know how your game turned out. The POD and the PDFs were updated back in April, and there is no revision on the horizon.